WASHINGTON (Reuters) - Saudi Arabian officials do not know details of how dissident journalist Jamal Khashoggi was killed in their consulate in Istanbul or where his body is, Saudi Foreign Minister Adel al-Jubeir said on Sunday. He told Fox News in an interview that Khashoggi was approached by "Saudi security team" when he entered the consulate and their account of what happened after that differed from that of Turkish officials, which prompted the Saudis to investigate. "He was killed in the consulate. We don’t know in terms of details how. We don’t know where the body is," Jubeir said. "We are determined to uncover every stone. ... We are determined to punish those who are responsible for this murder." "This is a terrible mistake. This is a terrible tragedy. Our condolences go out to them. 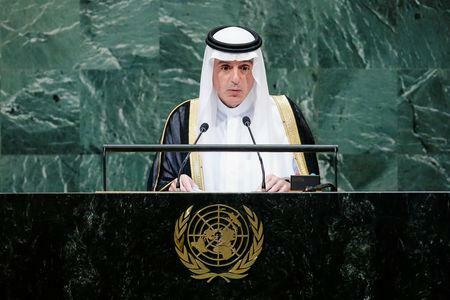 We feel their pain," Jubeir said in the interview. "Unfortunately, a huge and grave mistake was made and I assure them that those responsible will be held accountable for this."